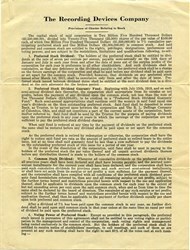 Certification from the Recording Devices Company dated in 1918. This item has the hand signature of the Company's Secretary and is over 90 years old. 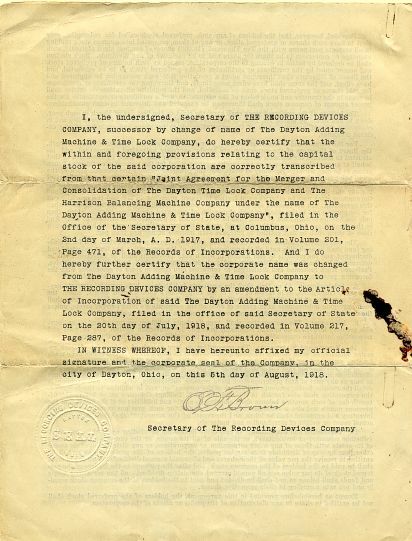 This document summarizes the name change from Dayton Adding Machine and Time Lock Company to the Recording Devices Company, and other changes to the charter relating to the stock.